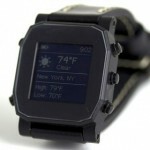 The Agent is a Kickstarter backed smartwatch that meshes both modern function and style. Like most other smartwatches it offers support for mobile apps, two-way connectivity with a paired smartphone, and more. 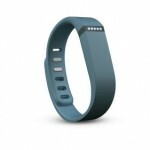 Unique features include the wireless charging functionality, and a 7 day life cycle for the battery. Part of the reason the battery lasts so long is the low power state and the display, which is not a touchscreen. The Agent will work with Android, iOS and Windows Phone devices.